The state of school meals is at a crossroads. If you’re a parent, you might have heard that last month, the USDA released an interim final rule that delays Obama-era guidelines aimed at making school meals healthier for kids. Under the Trump administration, these rollbacks will allow for significantly more sodium and sugar per serving and fewer whole grains in school lunches — impacting the nutritional quality of foods our kids depend on to fuel their academic success and growth. 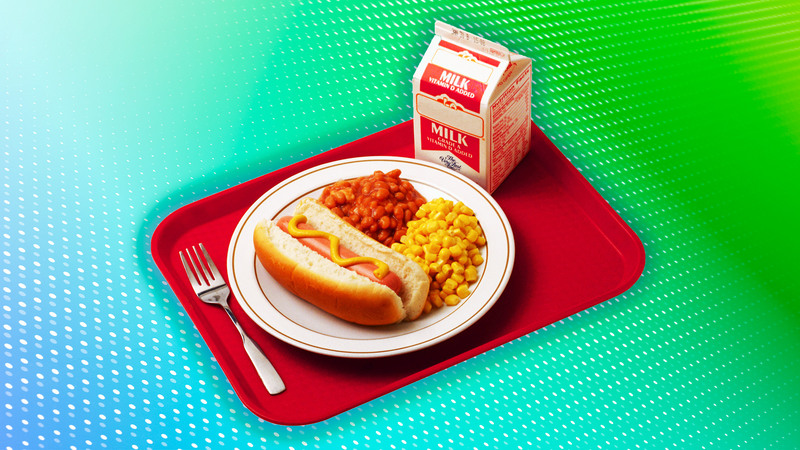 The USDA explained that the rollbacks are intended to give schools more flexibility to serve more “appealing” meals. However, a recent study by the Rudd Center for Food Policy and Obesity shows students actually responded positively to the Obama-era guidelines, with many schools reporting that students were eating more fiber, less saturated fat and around 15 percent more fruits and vegetables. Why is this important? There’s no denying that access to healthy, nutritious foods can have a positive impact on young bodies and minds. A study published in the Journal of School Health shows students who eat adequate amounts of fruits, vegetables, protein and fiber, with less calorie intake from fat, did better on tests than those who consumed foods high in salt and saturated fats. In order to set our kids up for a healthy future, it’s imperative we teach them at an early age how to nourish their bodies and minds, and it all starts with real, wholesome food. Thankfully, there are many school administrators nationwide who understand the short- and long-term benefits of providing our students with access to nutritious lunches — and who champion these positive changes on a daily basis. However, our broken food system is far from being fixed. Today, diabetes is the seventh-leading cause of death in the United States. Moreover, 1 in 6 youths ages 2 to 19 are classified as obese. For millions of American kids, particularly those in lower-income communities, access to healthy foods is a challenge — and about half of American families still rely on the National School Lunch Program to nourish their children. Without access to high-quality, healthy foods and nutrition education, these kids are at high risk for preventable diseases such as diabetes and obesity. That’s why it’s so important for the USDA and this administration to advance the progress we’ve made toward healthy school meals, not roll back standards on sodium, sugar and whole grains. When our kids are involved, we shouldn’t be adhering to the lowest possible standard; we owe it to the next generation to equip them with the tools they need to succeed and grow, and that includes raising the bar on school nutrition. Fortunately, many factors will determine whether your kid’s school decides to implement or reject the new nutrition standards, and parents can to take a proactive role in fostering healthy eating habits in and out of the classroom. Here’s how. Sometimes, the most effective way to get kids excited about eating real foods is to bring them into the kitchen and introduce them to cooking. Show them what food looks like as it gets prepared into different dishes. As a mom of three girls, I look forward to cooking something from scratch with my kids over the weekend — it’s a great learning experience that shows them where their food comes from and exposes them to a variety of ingredients they haven’t tried before. If you’re pressed for time (as most parents are), set a good example for your kids by bypassing the fast-food drive-thru in favor of convenient options that are also healthy and balanced; we’re big fans of quick and simple meal kits that give us the flexibility to add our choice of lean proteins and vegetables. At the end of the day, encouraging an open and curious attitude in the kitchen will translate at the dinner table — which means fewer picky eaters and hopefully better eating habits in the years to come. Introduce food and nutrition into other aspects of your family’s routine to get kids excited about eating real food. Swap out picture books and bedtime stories with the occasional cookbook. Pretend Soup and Other Real Recipes is a kid-friendly cookbook that offers simple and healthy recipes for preschoolers and up; William-Sonoma’s The Cookbook for Kids is full of family-friendly meal ideas and tips. Instead of movie night, opt for a cooking show marathon (we’re fans of MasterChef Junior and Chopped in our household). Take your kids to peruse the local farmers market and encourage them to taste, smell and try new fruits and vegetables. As your kids get older, have them accompany you to the grocery store and teach them how to read labels critically. And hey, if it’s somebody’s birthday, a kid-foodie gift couldn’t hurt. As the co-founder of Revolution Foods, I encourage parents to use the Trump administration school lunch nutrition rollbacks as an excuse to become more engaged in their children’s school lives. If you have concerns regarding these rollbacks, don’t be afraid to talk to your school’s administration. Regardless of what policies the USDA has in place, parents should always know what their kid’s school meal program is comprised of. I recommend going to visit your kids during lunchtime — see what they’re eating, what it looks like. If the school doesn’t have a food service director, the principal is usually the best person to approach with constructive questions, concerns and ideas. Use the new USDA guidelines as a pretext to discuss the importance of nutrition education with your school’s leaders by suggesting ways it can be introduced into the curriculum. Finally, seek out community resources to help reinforce positive nutrition education outside schools. Common Threads offers cooking and nutrition programs designed to prevent childhood obesity and get kids excited about eating healthy food. The organization is rapidly expanding nationwide and is currently available in seven major cities. FoodCorps is another national organization that offers school communities hands-on lessons in cooking, gardening and celebrating healthy food. Lastly, Share Our Strength’s Cooking Matters is a national resource that helps families shop and cook healthy meals on a budget so children get nutritious food at home. Gaining access to real, nutritious foods and adopting positive eating habits is crucial to setting up a healthy and successful future for the next generation. While my hope is that this administration and the USDA will ultimately work to build upon the progress we’ve made toward healthy school meals, it’s also important to remember that fostering healthy habits among our children and within our communities is a shared responsibility; when we’re all invested in citywide wellness, we have the ability to raise the bar on school nutrition and ultimately create positive systemic change.